When Killzone HD drops on October 24th, the original Killzone will be one week short of eight years old. In this (re-)developer interview we talk with Guerrilla Technical Director Michiel van der Leeuw and Senior Programmer Frank Compagner, who were there when Killzone was first released. In part 1, Michiel and Frank talk about the challenges they faced and the discoveries they made during the conversion process. Victor Zuylen: What prompted the HD remaster of Killzone? Michiel van der Leeuw, Technical Director, Guerrilla: It was an idea whose time had come. Internally we had talked about bringing Killzone to PlayStation 3 before – Killzone fans frequently asked us about it, and we knew from other developers that such projects could be a lot of fun. VZ: How many of the original team were involved? 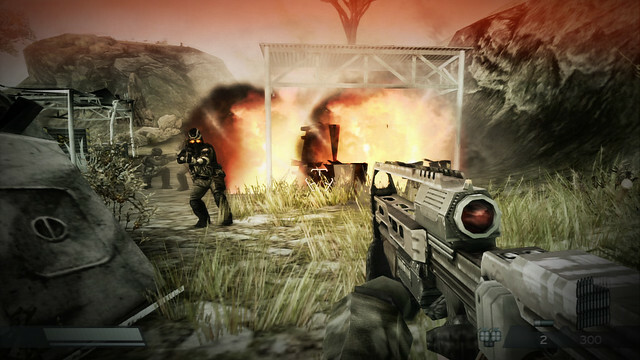 ML: A number of developers who worked on the original Killzone for PlayStation 2 helped get this project off the ground, including Guerrilla’s main producer, Angie Smets, who first started producing on Killzone; producer Sebastian ‘MotherH’ Downie, who served as a QA Manager and community liaison back then; art director Jan-Bart van Beek, who was the Lead Artist on Killzone; myself, as the lead coder of the original game. Frank Compagner, Senior Programmer, Guerrilla: I mainly worked on another Guerrilla title called ShellShock: Nam ’67 at the time. VZ: Frank, how did you get involved with Killzone HD? FC: I was asked to dig up the source code and the original assets for the game – things like models, textures and sounds. Guerrilla used a completely different versioning system in 2004, so we knew direct retrieval of the assets was going to be tricky. By comparison, obtaining the source code was slightly easier, because we found a copy in our current CVS. ML: Frank performed an amazing feat of software archeology. ML: It’s a programming term. The biggest challenge we faced with regard to obtaining the assets was that Guerrilla’s whole way of working was different back then. The assets had been backed up to tape at one point, but that was almost eight years and two tape robots ago. So we needed an archeologist, someone to dig into the depths of our backup archives and unearth whatever they could. ML: Go ahead, you can say it. FC: By which I mean, in a shoebox in the cellar of one of our IT support staff members, without a list of contents of any kind. FC: Like I said, we were young and we used to do things differently back in those days. VZ: So how did you know which tapes to use? ML: We eventually found a document with tape numbers and backup dates that seemed to match the ones in the shoebox. FC: Yeah, I spent days poring over the list to get an idea of the data contained on the tapes, and to see whether any of the tapes might possibly contain Killzone 1 assets. In the end I narrowed it down to three or four likely candidate tapes that I asked our IT support staff to procure for me. ML: Luckily, two of the tapes turned out to be from a previous tape robot that was still in working order, so IT support was able to transfer the contents for us. VZ: You mentioned that you found the source code separately? FC: Yes, someone had remembered to store a copy in our current CVS. The challenge there was getting the source code to compile. Owing to the different standards and naming conventions we followed back in those days, that was quite a puzzle in and of itself. ML: We really had to rack our brains to remember why things were set up the way they were. VZ: Can you give us an example? F: A simple example would be the code and header files pertaining to Rico Velasquez; most of them referred to him by a different name, because he started out as an Asian character during development and we never got around to changing it to Rico in the source code. ML: I had completely forgotten about that. FC: Me too. At first I wondered why I could only find code for three of the four main characters. VZ: What happened once you got the code to compile? 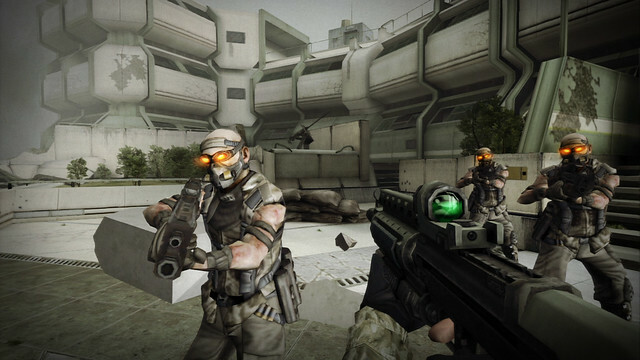 FC: From there the team that did the actual conversion took over, working off of the PC development build of Killzone to produce a version that would run well and look good on PlayStation 3. VZ: What do you think of the end result? ML: I think the conversion team did a terrific job. The original Killzone was a product of Guerrilla’s high ambitions and youthful enthusiasm, but at the time we didn’t quite have the experience to pack all of those ambitions into the space provided by the PlayStation 2 platform. The conversion team has gone in and made sure everything fits and runs smoothly this time, fully realizing Guerrilla’s original vision for the game. This is Killzone as it was meant to be played. VZ: Thanks for your time, guys. Join us next week for the second part of the Killzone HD (Re-)Developer Interview, in which Michiel van der Leeuw and Frank Companger talk about the enhancements made to Killzone HD. I already have Killzone 2 and 3 so I’m definitely gonna get Killzone 1 in HD! From a developer point of view, I wonder what obstacles would be in the way for porting to the Vita console. Are there any old libraries that just won’t work with the Vita architecture? Would you guys consider it if there was enough interest? Vita’s architecture is not an obstacle (we’re making Killzone: Mercenary for the platform, after all!) but it made more sense for us to port Killzone to the PS3, because it means that our fans can have all three parts of the main story on the same platform. I’m excited for this. I never got to play killzone 1 and I love killzone 2 & 3, so I can’t wait to pick this up and see how one of my favorite franchise began. Thanks Victor Zuylen. I’m very excited for Killzone: Mercenary. will the trilogy come with all dlc for kz2 and kz3? I LOVE these developer insights into the process of creating games, bringing out an HD remaster like this and all things of this nature. So keep them coming! Anyhoo~ really looking forward to playing Killzone again with better performance. I’m excited about this! I own Killzone 1 on the PS2 still but honestly have never gotten through it all the way. I have question . This is pure offline correct and split screen offline co op??.. So if you guys where to reverse engineer the mp(multi player) part would it be possible to play online.? Do think it possible to play a game like kz online in the era of gaming.. We all saw how racket & clank got ther game online . R&c up your arsenal.. Is it possible to do. how hard is that to do with reverse engineering as said option. Thank you for any answer given if at all..This is big debate among alot playstaion gamer san gamers as well. This our black hole and revalitive theory among the psn legionarrie groupa nd playstaion around the world. So a answer from high respected opion or answer from desingers such as gurilla games would be nice..
It’s not so much a matter of reverse engineering as writing new network code to work with the current PlayStation Network. In addition, setting up and maintaining a multiplayer server for Killzone HD would have driven the cost of this project beyond feasibility, so we opted to do without. Nice, I look forward to the next article. Good to hear some of the issues that hindered the original game may have been mended. 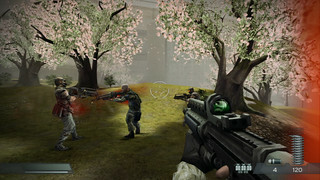 The vast majority of assets from Killzone 1 are unique to that game, because it takes place on a completely different planet with different characters, different Helghast enemy types, different environments and so on. Re-using Killzone 2 or 3 assets simply wouldn’t get us very far. Nice trilogy, i will be buying them all! Thank you for the answer.. We highly appriacted it. 2nd question if not much to ask.. So the dev maintains theses server at there cost. Do think it possible to get these type of games online( games with mp fromthat era of gaming). In your honest opinion dispite the said costs. Im not saying your game directly becuase i understand your points and i respect your saying..
Why no remote play for any of the Killzone games? Yoshida demoed Killzone 3 remote play on Vita back in the days and GG has said they have no intention of supporting remote play. Makes no sense. I agree that it’s somewhat confusing, but the Killzone 3 level that Mr. Yoshida used to demonstrate remote play functionality was a special build intended as a proof of concept. Implementing the feature for all of Killzone 3 at this stage would require us to go back and drastically change the inner workings of the game, so it’s not a viable option. Loved the oringal Killzone on ps2, use to play with friends against bots for hours! But the game had one fault…. will you guys be adding Jumping to this? That exact question will be addressed in part two of the interview, next week! So excited for this release! Never got to play Killzone on the PS2. KZ2 and KZ3 are just so good and can never be traded or sold. Which reminds me I still need that Platinum for KZ2. Thank you for all the hard work and the entertaining story above. oh yea sorry but i wanted to ask if multiplayer is to costly, why you didn’t atleast go with a 3D feature. i was definitely be pick this up. Hopefully i’ll get my broken disc drive before this game hit store and thank you GG for making this affordable even though you guys deserve much more. Much love from gamer to game creator. @20, Killzone 4 A launch game for the ps4 would be AWESOMEEEEEEEEEEEEEEE…. I’m really looking forward to this and ESPECIALLY Mercenary on vita. I was pleasantly surprised to see that it is being developed by Guerrilla. 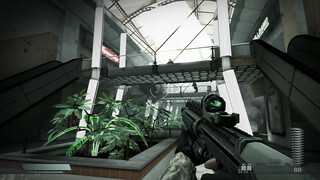 Vita needs an FPS with the depth and quality that Killzone is known for, yet designed with a portable console in mind. Can you tell, or at least hint to when we will see more about Mercenary? @icurafuse @Victor Zuylen if sell it on Cross buy (ps3 + vita) we can have it ALL on same plataform, right? Saying “current CVS” is like saying “our current 486s” :-P. Update to a modern Version control software !!!! great job guys, looking forward to picking up the trilogy! Thanks for confirming that the trilogy will have all the DLCs. Cannot wait for this! Are you guys going to add more variety to the ISA NPCs heads? It was kinda odd to see all of them with the same face and all of them being bald back in when it came out. XD. It”ll be cool if you guys added the ISA Helmet on them. Also have the cutscenes been properly been Up-rezed? How about 3D? :) I just got a PS 3D tv & it makes KZ3 breath-takingly immersive! I pray every night before going to sleep that KZ4 multiplayer has selective amnesia and forgets that KZ3 exists, but improves on what KZ2 offered, instead of removing content and going backwards. i own the 60gb ps3 and i played the original killzone on the ps2…wow..im glad its in HD and utilizing the KZ3 controls now..
sidenote excited to finally see how it all happened. never finished the ps2 version. still have it though. cant wait to replay this!! I am certainly buying this. Killzone HD on the Killzone Trilogy is on disc right? If it is you have a guaranteed purchase. I played Killzone 3 online multiplayer for the first time a few days ago and I absolutely loved it, and believe it or not I like it more with PlayStation Move than a DualShock 3. I’m really disappointed that support for the game has been completely dropped not long after it’s release. I wasn’t going to buy it because of that (and charging for DLC that should be free) but it’s my favorite FPS for online multiplayer so far and all the DLC is included so you got lucky with that one. Show us you’re good developers and not anti consumer by continuing to support your game, which will not only make more people buy and play the game and your future games, but also give a better name for your company, your games and the future games of that franchise, which of course, will make more people want to own and play them. I forgot to add, I love you kept offline co-op and competitive multiplayer in this game because it’s the best type of multiplayer and it’s disgusting how so many games only include online multiplayer. Of course having both offline and online multiplayer is the way to go so it would have been better if this game also had online multiplayer and more people would have bought it. Sorry, but can you confirm, there will be a split-screen multiplayer in Killzone HD? Can’t wait for this! I loved the splitscreen multiplayer, my brother and I used to play it for hours. I highly doubt this will happen, but would it be possible for you guys to add more levels to multiplayer? Even if it’s just levels that you originally wanted to put in the first time around but couldn’t. Either way, I’m still grateful you guys decided to do this remake, I’ll definitely be picking it up! Will the bugs present in the original game be corrected ? I came across a bug that had me stop playing as I could not finish a mission. It was on a beach, with a bunch of soldiers being dropped on it via container-ships similar to the ones used in Normandy. Hey Frank, is there any chance that we’ll get Shellshock Nam’67 remastered? I saw the response in regards to KZ3 not having Remote Play. Is this the case for all PS3 games? Is it easier to add Remote Play to PS2 collections? Reason I ask is it appears Sony is focusing Remote Play on collections (i.e. God of War Collection, ICO Collection). As much as I would like all PS3 games to have Remote Play I must say I’m loving playing GOW2 on my Vita! I really like Remote Play as it’s a great way for me to catch up on my games w/o hogging the TV from my kids and wife. Please consider Remote Play for these games, I think it’s a great feature! How it should be is be able to play all your PS3 games on your PlayStation Vita (obviously, except for the ones that can’t be played on PSVita like PSMove only games.) with the standard, buy once, play anywhere (meaning on any of your devices). Were you able to get the original, uncompressed audio assets for re-encoding? I’ve been really disappointed with most of the PS2 HD re-releases, which have ridiculously poor audio quality (sounds like 11khz) in “glorious” 7.1 surround sound. Will this game support remote play on Vita? KZ2 AND KZ3 Platinum..KZHD comingsoon…. If you add jumping, please leave an option to play it in its original state. I respected the decision to leave jumping out as reality dictates jumping is an uncontrollable action and armies always stay in a state of control, thus no jump. If you put areas in where it requires a jump, you will definitely spoil the spirit of the original. Killzone remains one of my favorite PS2 games, and while all the others went away, KZ still remains a gem in my collection and the very reason why my first PS3 had to have backward compatibility (although KZ mutiplayer didn’t work – to my disappointment). Now someone put me in stasis until the 24th so I don’t have to feign the patience of waiting.